Whether you are planning to have an intimate wedding or an exorbitant one, The Acres Club will surely match your unique choice, budget, and requirements. With a capacity of accommodating up to 35 in seating and 2000 in floating, the venue has a cosy and comfortable interior for the guests. It also offers an in-house team of caterers that puts all the efforts to delight the guests with mouth watering multi-cuisine dishes. The Acres Club, Chembur, Mumbai offers a bouquet of facilities to give you a one-stop solution for all your social and corporate events. The venue's proximity to the Swami Vivekanand Chowk and Chembur Police Station in Mumbai makes it popular for corporate events. 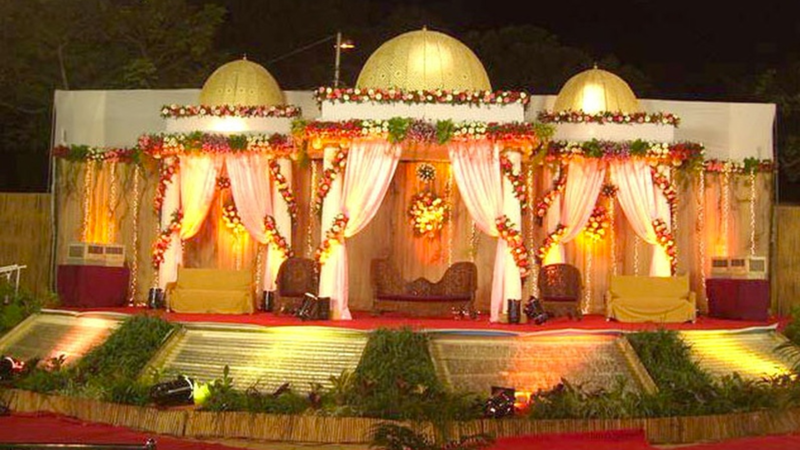 It offers a range of banquets and outdoor spaces which give you plenty to choose from for your wedding as well. The venue has multiple luxurious banquet halls of varying sizes, so you've got options for all your functions — from your mehendi to your reception. And if you'd rather take the celebration outside, take a pick from their expansive green Lawn or Garden at Acres Club Chembur, to plan your wedding and reception in the open-air. The venue serves mouthwatering multi-cuisine delicacies to choose from in both vegetarian and non-vegetarian food. The decor team at The Acres Club Chembur takes care of decoration for your big day. The venue has two-time slots you can choose the one which suits you the best. It offers complimentary changing rooms for the bride and the groom on their special day. The venue has luxurious rooms for the guests which gives them a comfortable stay. The Acres Club, Chembur, Mumbai offers ample car parking space, it serves alcohol and also allows you to get it from outside to please your guests.